Huelva is located in southwest of the Iberian Peninsula. Within the province, the capital Huelva is situated on the coastline in the south, between the rivers Tinto and Odiel, 620 kilometers from Madrid, about 90 km from Seville and 100 km from Faro (Portugal). The city of Huelva is one of the lesser-known capitals of Andalusia. It is surrounded on the north by the province of Badajoz, in the south by the Atlantic Ocean, in the east by Seville and the west by Portugal. This strategic location for trade and its wealth have made many civilizations chose to settle here. Huelva is one of the oldest settlements in the West and over five thousand years old. In the late fifteenth century the province was home to one of the most important historical events: the discovery of America, as the port of Palos was the scene of the departure of Columbus to the New World. The main economic activities of the city are those related to the Chemical Industry and Fisheries. The port of Huelva occupies a prominent place in the “Ruta del marisco” (Route of seafood) and it´s seafood enjoys a special predilection. Through the V Centenary Highway, the A-49, Huelva city is directly linked to the capital of the Autonomous Community, Seville. The tourist sites in the province of Huelva are placed a very short distance from Faro airport in Portugal. The capital of the Algarve is only 50 kilometers from the provincial border of Huelva (Ayamonte). Huelva province is divided into three main regions: The Sierra de Aracena, Andévalo and the coastline. Its large interior roads are the north-south axis linking the province with Extremadura, and the connections linking Seville and the rest of Andalusia with Portugal: to the north the N-433 Seville-Lisabon crossing the natural park of Sierra de Aracena and in the south the highway E-1 / A-49 Seville-Faro. Rail connections link through the high-speed train AVE in Seville the province of Huelva with Madrid. The province of Huelva by now does not have an airport. The nearest airports are: Faro Airport (Portugal) is situated 113 km from Huelva capital and Seville airport 104 km. The airport Jerez de la Frontera is situated 184 km and Malaga airport is 314 km from Huelva. With respect to the rail network, the Huelva-Seville route has three daily trains. Other train stations in nearby cities are in Seville (Train station Santa Justa) and in Jerez de la Frontera. The city has a modern and equipped bus station from where are departing all the lines which connect Huelva with the remaining municipalities of the province and as well the rest of Andalusia, Spain and Portugal. Huelva is a pleasant city with superb beaches, wonderful seafood and an outstanding province, with all kinds of riches such as gastronomy, landscapes, crafts, legends, culture, monuments, history, trails, customs and diversity of ecosystems from the marshes to the mountains and last not least the mining area. Huelva is one of the provinces in Spain with a lower degree of urbanization in its coastline, offering 122 km of large white sandy beaches framed by green pine forests. Although most of the old town of Huelva was destroyed by the Lisbon earthquake in 1755, it is worth looking at some city buildings like the City Hall, the Theatre, the old train station, palaces and manor houses from the early twentieth century such as the Palacio de Mora Claros, Archeological Museum, Cathedral de la Merced, Parish church of San Pedro, parish church of la Concepcion, sanctuary of Nuestra Señora de la Cinta, parish church of La Milagrosa, hermitage de la Soledad, the pier of the river Tinto, laborer district from the early 20th century, Casa Colon and Columbus Monument. 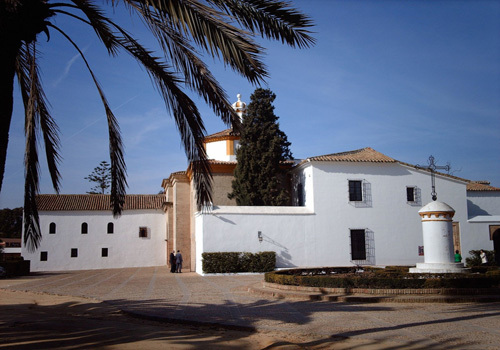 The Monastery of La Rabida is one of the most outstanding historical monuments of Huelva province, as it is directly related to the discovery of America. Columbus was staying there before leaving to his journey and received important intervention from the monks in order to convince the catholic Kings to finance the mission. We recommend not missing the sunsets. From the Cabezo del Conquero, the santuario de la Cinta or from the second floor terrace of Aqualon in the port can be enjoyed excellent views. Next to the city can be found the Parque Moret, which is with 70 hectares the major suburban park in Andalusia. You can also go to the only beach with which the capital account, located in the heart of the Natural Area of the Odiel Marshes: the Playa del Espigón. Huelva is the cradle of “the first Golf”: much time has passed since the English miners, who worked in the mines of Rio Tinto in Huelva founded the pioneering golf course in the Peninsula. As it is possible to practice this sport throughout the year, Golf has developed with extraordinary rapidity in Huelva. Next to the sea and inserted into natural areas, can be found the golf courses of Isla Canela, Islantilla, Nuevo Portil, Dunas de Doñana and Bellavista. The bike path starts from Huelva reaching Punta Umbria and offers a good ride either on bike, skating or walking. A curious trip is a canoe ride to Punta Umbria, as the ship crosses the river, estuaries and crosses the Marshes of Odiel. There are several companies organizing Outdoor activities such as scuba diving courses, diving, hiking, climbing, or sailing courses, among others. Semana Santa (Easter week) processions in March or April, El Rocío (colorful folkloric-religious event) around the 20th of May, the Fiestas Colombinas (in honor of Christopher Columbus) in august and the Festival de Cine Iberoamericano (Iberoamerican Film festival) in November. El Rocio, located next to the national Park of Doñana, is a place of pilgrimage for thousands of devotees of the Virgen del Rocío throughout the year and where is celebrated the world's most important and very colorful pilgrimage with embellished horse and carriages. The city of Huelva has a wide commercial offer: traditional shops, markets and shopping malls where you can buy all sorts of products. Many of the traditional shops are located in the so-called Centro Comercial Abierto, situated in the streets and pedestrian areas of the old town. The traditional street market is on Fridays, at the Recinto Colombino near the port and which is another popular spot for shopping in the city of Huelva. Regarding a bustling nightlife, Huelva has little to offer compared with other provincial capitals of Andalusia, like Seville, Granada and Malaga. During the summer months the main activity is centered in Punta Umbria. In Huelva, the night bars are clustered along the calle Pablo Rada, calle Aragon, calle Martín Alonso Pinzón, Avenida Federico Molina, west of the Plaza de San Pedro and around the Plaza de la Merced. In the Bar 1900 Sor Ángela de la Cruz you can with walls covered with books and art exhibitions. Northwest of the centre in the Molino de la Vega district, is the music venue the Sala de la Nave in Calle Fuenteheridos. Here you can find all kinds of concerts such as jazz, flamenco, hip-hop and rock bands. Peña Flamenca de Huelva, located between Avenue Andalusia and Paco Plaza Toronjo. Peña Flamenca Femenina in calle Ruiz Picasso. Peña Flamenca La Orden in calle Diego Morón. Peña Flamenca las Colonias in Avenida Cristóbal Colon and Peña Flamenca Higueral in calle El Granado. The different cultures which settled in this province have created a cuisine of extraordinary richness and profusion. Diversity is the outstanding element, since each region and each town has its own representations, although there is some unanimity in considering the ham and seafood as the main protagonists. The province of Huelva is famous for the quality of both the seafood and fish. Being a coastal city, seafood is available very fresh on the market. A typical dish are Papas con chocos (potatoes with cuttlefish), which you can find in any restaurant and which is one of the most exquisite dishes of Huelva coast. The Littoral of Huelva is one of the most attractive tourist destinations across the south of Spain. Its beaches draw a profile of white sand framed by green pine forests. The Littoral consists of eleven municipalities: Aljaraque, Almonte, Ayamonte, Cartaya, Huelva, Isla Cristina, Lepe, Moguer, Palos de la Frontera, Punta Umbria, Villablanca. Regarding trips and excursions, one possibility is traveling down the coast visiting the hidden beaches of Huelva. Or follow the traces of Christopher Columbus from Huelva to Moguer, passing by la Rábida and Palos de la Frontera; discover the mines of Riotinto or the red fortress of Niebla. There are as well many routes such as the Wines Route (Ruta del Vino), the Dolmen Route (Ruta de los Dolmenes), the castle Route (Ruta de los castillos) or visit villages in the mountains such as Aracena, Alajar, Cortegana or Jabugo. The natural areas are also a good option, not in vain is considered a third part of the province as a protected space. 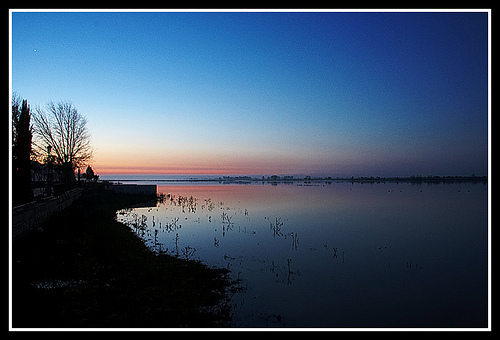 At the head, the Doñana National Park and the Natural Park Sierra de Aracena y Picos de Aroche, but there's more: the Odiel Marshes, the Marshes of Isla Cristina, the Marshes of Piedras, El Rompido and Los Enebrales. Considered as one of the most important natural environments in the world, the Doñana area covers more than 100,000 hectares of protected area and within is situated the Doñana National Park. The environmental importance of Doñana is joined by other wetlands in the province, such as the marshes of the Odiel River, protected by their ecological value and located a short distance from the city of Huelva. The Natural Area of the Odiel Marshes is the largest estuary in the Peninsula and one of the most productive in Europe. Sierra de Aracena y Picos de Aroche is located on the western part of the Sierra Morena in the north of the province of Huelva: Lush forests and endless meadows dotted with white villages, with architecture and history cherished for centuries. Here can be found numerous castles, as the area was in during the middle ages the scenery of frontier battles with Portugal. In the heart of the Sierra de Aracena mountains are produced the most famous Iberian hams of the peninsula, with the outstanding “Pata negra”. There is as well a tourist train touring the mines of Riotinto on 12 kilometers in historic carriages. This mineral-rich land keeps as well an incalculable wealth of nature, patrimony and archeology. In the area of El Pozuelo are located many dolmens and vestiges of the culture of the early inhabitants of these lands. Up to a total of 49 megalithic sites can be visited through a Route of dolmens which begins in the Interpretation Center of Zalamea la Real. On the northern border of the district is the oldest bullring in Spain. Declared a national monument, it is located in the equally picturesque village of Campofrio. For going to Mines of Riotinto, it is recommended to rent a car in Huelva, or use the bus service. The mountain views from the road on your way to Riotinto are so beautiful and you will be delighted with this road trip. It is not hard to get to Riotinto in Nerva.